Greetings by Design specializes in both boxed stationery stocked at our store & personalized stationery which can be purchased at our shop or on line. We can also create a totally custom design just for you & we do Calligraphy too! Give us a call 978-225-6700 or stop by our shop. We love to help! 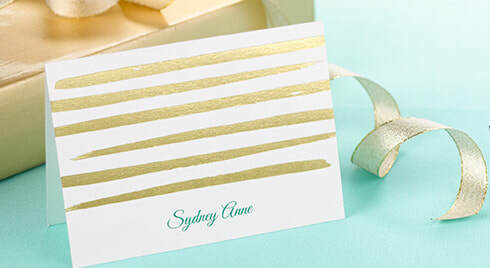 ​Nothing Stands out like a Handwritten Note! ​Our most popular boxed stationery sets include Crane's and Just One Miracle along with many other choices that are available in stock at our store located in the center of historic downtown Newburyport. Order a few featured items below or visit us to see our full line of boxed stationery. ​There is nothing better than a personalized note from you! Stop by our shop to browse our stationery albums. We have lots of choices to meet your personal taste from sophisticated to funky. We create custom designs too. We enjoy helping people find the best way to express their own personalized greetings. Our most popular boxed stationery sets include Crane's & Inscribe among the many other choices you can find at our warm & inviting shop in beautiful downtown historic Newburyport. ​Shop a few featured items below or visit our shop to see our full line of boxed stationery. Order Carlson Craft Personalized Stationery on line from the comfort of your home! (or at work when your boss isn't watching!) Click here to browse on line catalog.